We had some family in town visiting, so we took them around downtown Little Rock for some sight-seeing. We went across the Junction Bridge, the old railroad bridge that was built in 1884 which was converted into a pedestrian bridge in 2008. It's a great place to visit, with some of the best views of the city. 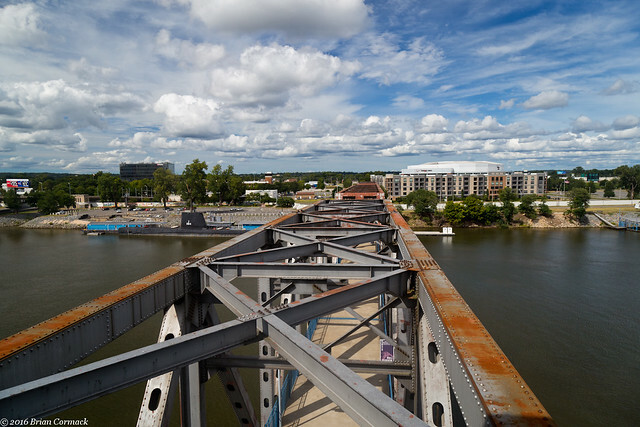 This was taken from the top of the bridge, looking north towards Verizon Arena and North Little Rock.